High Voltage Direct Current (HVDC) aviation electrical power systems (EPS) provide many advantages, particularly in the area of weight savings. Despite the advantages, there are technical challenges for these systems as the power and dynamic response demanded by high power and more-electric loads increases. High power HVDC systems require low source impedance which makes larger fault energy available to the system. In addition, flight and mission critical loads demand constant power and fast response by a tightly regulated EPS. These loads on a HVDC distribution can cause dynamically negative resistance resulting in poor power quality and/or loss of system stability. AFRL’ s objective is to develop an intelligent power system to advance the state of the art in system efficiency and safety. This is a far-reaching and broad area of research that is best served by the participation of multiple research institutions that have developed expertise in specific areas. To that end, this Statement of Objectives outlines work where Michigan Technological University (MTU) has demonstrated outstanding research. Specific areas of research that AFRL is interested in having MTU participate in this program are outlined below. The results of this research and development effort shall be available to all other parties collaborating on the AFRL Intelligent Power System Program as well as industry concerns involved with United States aviation power systems so that best practices and recommendations can be incorporated in future power system design concepts. Near-shore wave energy converter arrays may be designed to provide uninterrupted power to a number of coastal sensing applications, including sensors monitoring meteorological conditions, sea-water chemical/physical properties, tsunamis and storm surges, fish and other marine life, coastal and sea-floor conditions, etc. Active control seeking near-optimum hydrodynamic operation has been shown to enable a dramatic reduction in device size for required amounts of power. Certain features of the control strategies developed make them particularly amenable to incorporation of additional sensing capability based on the wave patterns generated by intruding submerged objects (at distances on the order of 1000 m), in particular, the phase changes to the approaching wave field that occur in the presence of an object. This project investigates schemes for actively controlled wave energy converter arrays in coastal waters which enable detection of intruding marine vessels by monitoring the spatial and temporal energy conversion rates over the arrays. The proposed approach mainly utilizes a linear-theory based understanding of wave propagation, body hydrodynamics, and controller design, but also incorporates nonlinear extensions based on Volterra series modeling. Of particular interest, is using small device sizes, for which response nonlinearities can be significant. Therefore, it is proposed to exploit the nonlinearities to enhance energy generation. Furthermore, also investigate ways to utilize features of the nonlinear response that enable preferential coupling to certain phase signatures, so that energy conversion by certain array elements would imply the presence of an object. Analysis and simulation results on arrays of moored devices will be extended to free-floating arrays. The first objective of the overall effort is to evaluate the proposed techniques through analysis and simulation. For near-shore sea areas to be identified, two categories or types of array designs with their own particular control strategies will be investigated, using Hydrodynamics and Controls based analytical techniques and detailed simulations (linear and nonlinear). Necessary in this process is the characterization of the phase-change signatures of various submerged objects when stationary and when in translation. This knowledge will provide the test parameters for the designs to be investigated. The first two years of the overall, 4-year long, effort are expected to provide the groundwork for the development of a prototype system. Prior to ‘at-sea’ prototype testing, first test the prototype in a wave-basin environment. To provide reliable designs for the testing in the wave basin, wave tank testing under simplified conditions is also proposed. The overall testing sequence from wave tank tests through wave-basin tests to ‘at sea’ tests is expected to occur over years 3 and 4. Further develop modeling and control in the EV-Smart Grid Interoperability Center. MQTI broker, the implementation of an MQTI client in Opal-RT will be developed. MQTI broker with an Opal-RT simulation (publish and subscribe). The contractor will develop Node-Red Nodes to further integrate networked devices into CIP.io. All source code will be open-sourced and posted the IOC GitHub account. •Fully functional, tested and debugged BACnet Node-Red node. Razmara, M., Bharati, G., Shahbakhti, Mahdi, Paudyal, Sumit, Robinett, Rush D., “Bilevel Optimization Framework for Smart Building-to-Grid Systems,” IEEE Transactions on Smart Grid, Vol PP, No. 99, 12 pages, April, 2016. Sun, Ye, Yu, X. B., “Capacitive Biopotential Measurement for Electrophysiological Signal Acquisition: A Review,” IEEE Sensors Journal, Vol. 16, No. 9, pp: 2832 – 2853, May 2016. Ficanha, Evandro, Ribeiro, Guilherme, Rastgaar, Mohammad, “Design and Evaluation of a 2-DOF Instrumented Platform for Estimation of the Ankle Mechanical Impedance in the Sagittal and Frontal Planes,” IEEE/ASME Transactions on Mechatronics, Vol. 21, No. 5, pp: 2531 – 2542, April, 2016. Ficanha, Evandro, Ribeiro, Guilherme, Dallali, Houman, Rastgaar, Mohammad, “Design and Preliminary Evaluation of a Two DOFs Cable-Driven Ankle–Foot Prosthesis with Active Dorsiflexion–Plantarflexion and Inversion–Eversion,” Frontiers in Bioengineering and Biotechnology, Vol. 4, No. 36, April, 2016. Banerjee, Bibaswan, Kotecha, Ramchandra M., Weaver, Wayne W., “Digital Memory Look-up Based Implementation of Sliding Mode Control for DC–DC Converters,” Control Engineering Practice, Vol. 54, pp: 1-11, September 2016. Kantamneni, Abhilash, Winkler, Richelle L., Gauchia Babe, Lucia, Pearce, Joshua M., “Emerging Economic Viability of Grid Defection in a Northern Climate using Solar Hybrid Systems,” Energy Policy, Vol. 95, pp: 378-389, August 2016. Bahri, B, Shahbakhti, Mahdi, Kannan, Kaushik, A. A. Aziz, “Identification of Ringing Operation for Low Temperature Combustion Engines,” Applied Energy, Vol. 171, pp: 142-152, June 2016. Brown, Ian P., Sizov, Gennadi, Brown, Laura E., “Impact of Rotor Design on Interior Permanent-Magnet Machines With Concentrated and Distributed Windings for Signal Injection-Based Sensorless Control and Power Conversion, ” IEEE Transactions on Industry Applications, Vol. 52, No. 1, pp: 136-144, January 2016. Abdelkhalik, Ossama O., Taheri, Ehsan, “Initial Three-Dimensional Low-Thrust Trajectory Design,” Advances in Space Research, Vol. 57, No. 3, pp: 889-903, February 2016. Nazemi, Mohammadreza, Shahbakhti, Mahdi, “Modeling and Analysis of Fuel Injection Parameters for Combustion and Performance of an RCCI Engine,” Applied Energy, Vol. 165, pp: 135-150, March 2016. Sadabadi, K K., Shahbakhti, Mahdi, Bharath, A N., Reitz, Rolf D., “Modeling of Combustion Phasing of a Reactivity-Controlled Compression Ignition Engine for Control Applications,” International Journal of Engine Research, Vol. 17, No. 4, pp: 421-435, April, 2016. Abdelkhalik, Ossama O., Robinett, Rush D., Zou, Shangyan, Bacelli, Giorgio, Coe, Ryan, Bull, Diana, Wilson, David, Korde, Umesh, “On the Control Design of Wave Energy Converters with Wave Prediction,” Journal of Ocean Engineering and Marine Energy, Vol. 2, No. 4, pp: 473-483, November 2016. Cao, Chong, Cheng, Ming, Chen, B., “Optimal Scheduling of PEV Charging/Discharging in Microgrids with Combined Objectives,” Smart Grid and Renewable Energy, Vol. 7, No. 4, pp: 115-130, April 2016. Jia, Libin, Naber, Jeffrey D., Blough, Jason R., “Review of Sensing Methodologies for Estimation of Combustion Metrics,” Journal of Combustion, Vol. 2016, Article ID. 8593523, 9 pages, April 2016. Shrivastava, Udit N., Tajiri, Kazuya, “Sources of Current Density Distribution in the Land-Channel Direction of a PEMFC,”	Journal of The Electrochemical Society, Vol. 163, No. 9, pp: F1072-F1083, July 2016. Guo, Shuaicheng, Dai, Qingli, Sun, Xiao, Sun, Ye,	“Ultrasonic Scattering Measurement of Air Void Size Distribution in Hardened Concrete Samples,” Construction and Building Materials, Vol. 113, No. 15, pp: 415-422, March 2016. Hajmohammadi, Solmaz, Nooshabadi, Saeid V., Archer, Glen E., Bos, Jeremy P., Struthers, Allan, “Parallel Hybrid Bispectrum-Multi-Frame Blind Deconvolution Image Reconstruction Technique,”	Journal of Real Time Image Processing, pp: 1-11, March 2016. Bacelli, Giorgio, Coe, R., Wilson, D., Abdelkhalik, Ossama O., Korde, U., Robinett, Rush D., Bull, D., “A Comparison of WEC Control Strategies for a Linear WEC Model,” 2016 NHA Marine Energy Technology Symposium (METS 2016), Washington DC, USA, April 25, 2016. Bacelli, Giorgio, Coe, Ryan, Bull, Diana, Wilson, David, Abdelkhalik, Ossama O., Robinett, Rush D., Korde, Umesh, “A Linear Comparison of WEC Control Strategies,” 2016 NHA Marine Energy Technology Symposium (METS 2016), Washington DC, USA, April 25, 2016. Reynolds, Craig, Blough, Jason R., Anderson, Carl L., Johnson, Mark A., Schweitzer, Jean, “Automotive Torque Converter Sound Power Measurement And Design Parameter Correlation,” International Symposium on Transport Phenomena and Dynamics of Rotating Machinery, Waikiki, Hawaii, International Group, April 2016. Amini, M R., Shahbakhti, Mahdi, Hendrick, J K., “Easily Verifiable Adaptive Sliding Mode Controller Design with Application to Automotive Engines,” 2016 SAE World Congress, Detroit MI, April 12, 2016. Jane, Robert S., Parker, Gordon G., Weaver, Wayne W., Rizzo, Denise M., “Fuel-Optimal Strategies for Vehicle Supported Military Microgrids,” 2016 SAE World Congress, Detroit MI, April 12, 2016, SAE Technical Paper 2016-01-0312. Weaver, Wayne W., Robinett, Rush D., Parker, Gordon G., Wilson, D., “Hamiltonian Modeling and Control of AC Microgrids with Spinning Machines and Inverters,” International Symposium on Power Electronics, Electrical Drives, Automation and Motion (SPEEDAM), Anacapri, Italy, June 22, 2016. Bharati, G R., Razmara, M, Paudyl, S, Shahbakhti, Mahdi, Robinett, Rush D., “Hierarchical Optimization Framework for Demand Dispatch in Building-Grid Systems,” IEEE Power & Energy Society (PES) General Meeting, Boston, MA, July 17-21, 2016, 5 pages. Razmara, Meysam, Bidarvatan, M., Shahbakhti, Mahdi, Robinett, Rush D., “Innovative Exergy-Based Combustion Phasing Control of IC Engines,” 2016 SAE 2016 World Congress, Detroit, MI, April 12, 2016. Liu, Chuanliangzi, Cheng, Ming, Chen, Bo, Champagne, Anthony, Patel, Keyur, “Model Integration and Hardware-in-the-loop (HiL) Simulation Design for the Testing of Electric Power Steering Controllers,” 2016 SAE World Congress, Detroit MI, April 12, 2016. Wilson, David, Robinett, Rush D., Weaver, Wayne W., Byrne, R, Young, J, “Nonlinear Power Flow Control Design of High Penetration Renewable Sources for AC Inverter Based Microgrids,” International Symposium on Power Electronics, Electrical Drives, Automation and Motion (SPEEDAM), Anacapri, Italy, June 22, 2016. Razmara, Meysam, Bidarvatan, M., Shahbakhti, Mahdi, Robinett, Rush D., “Novel Exergy-Wise Predictive Control of Internal Combustion Engines,” Proceedings of the 2016 American Control Conference, Boston, MA, July 6, 2016, 6 pages. Abdelkhalik, Ossama O., Robinett, Rush D., Bacelli, Giorgio, Wilson, David, Korde, Umesh, “Optimal Control of Wave Energy Converters,” The 11th MTS Buoy Workshop 2016, Woods Hole Oceanographic Institution, Quissett Campus, Woods Hole, MA, USA, April 2016. Winikus, Jennifer, Brown, Laura E., “Representation and Incorporation of Clinical Information in Outpatient Oncology Prognosis Using Bayesian Networks,” 2016 IEEE International Conference on Electro Information Technology (EIT) Region 4, Grand Forks, ND, May 19-21, 2016, 6 pages. Trinklein, Eddy H., Blough, Jason R., Parker, Gordon G., Plackett, Michael, “Stiffness Characterization of an Inflated Airbag Based Three Axis Motion Platform,” IMAC Proceedings, Society of Experimental Mechanics, Bethel, CT, USA, January 2016. Blough, Jason R., “Teaching DSP and Dynamic Measurements at the Graduate Level at Michigan Technological University,” IMAC Conference, Society of Experimental Mechanics, Bethel, CT, USA, January 2016. Gauchia Babe, Lucia, “The Battery Nexus,” Proceedings of European Horizon 2020, Horizon 2020 Projects, UK, Vol. 10, page 249, April 2016. Robinette, Darrell, Blough, Jason R., “Transient Heat Transfer and Energy Balance Model for Hydrodynamic Torque Converters While Operating at Extreme Speed Ratio,” International Symposium on Transport Phenomena and Dynamics of Rotating Machinery, Waikiki, Hawaii, International Group, April 2016. Wilson, David, Bacelli, G, Coe, R, Robinett, Rush D., Thomas, G, Linehan, D, Newborn, D., Quintero, M., “WEC and Support Bridge Control Structural Dynamic Interaction Analysis,” 2016 NHA Marine Energy Technology Symposium (METS 2016), Washington DC, USA, April 25, 2016. Bos, Jeremy P., Edel, Zachary, Packard, Corey, Valenzuela, John, “Glint Removal for Post-processing of Ground-based Space-object Characterization Imaging using RASL,” Proceedings of 2016 IEEE Aerospace Conference, Big Sky, MT, March 2016, pp. 2527-2533. Beck, Jeffrey, Bekins, Celina, Bos, Jeremy P., “WavePy: A Python Package for Wave Optics,” Proceedings of SPIE 9846, Long-Range Imaging, Baltimore, MD, May 18, 2016, page 984603. 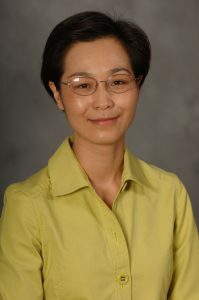 Dr. Chen is the Dave House Associate Professor of Mechanical Engineering and Electrical Engineering in the Department of Mechanical Engineering – Engineering Mechanics and Department of Electrical and Computer Engineering at Michigan Technological University. She received her Ph.D. degree from the University of California, Davis, in 2005. Dr. Chen conducts interdisciplinary researches in the areas of mechatronics and embedded systems, agent technology, modeling and control of hybrid electric vehicles, cyber-physical systems, and automation. Her research projects are funded by National Science Foundation, Department of Energy, and industrial partners. Dr. Chen has authored or co-authored over 70 peer-reviewed journal and conference papers. She received the Best Paper Award at 2008 IEEE/ASME International Conference on Mechatronic and Embedded Systems and Applications. Dr. Chen is currently serving as the Chair of the Technical Committee on Mechatronics and Embedded Systems of IEEE Intelligent Transportation Systems Society and the Chair of the Technical Committee on Mechatronic and Embedded Systems and Applications of ASME Design Engineering Division. She is an Associate Editor of the IEEE Transactions on Intelligent Transportation Systems. 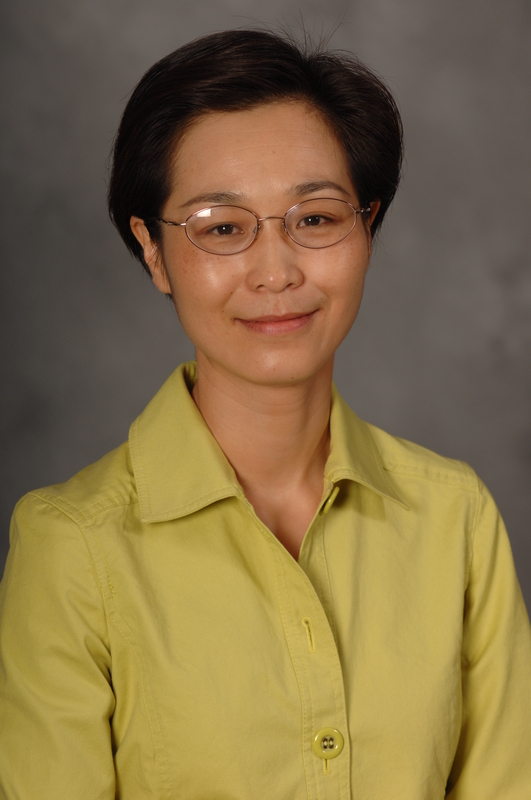 Dr. Chen has served as Program Chair, Symposium Chair, and Session Chair for a number of international conferences. She was the General Chair of 2013 ASME/IEEE International Conference on Mechatronic and Embedded Systems and Applications. Batteries are increasingly relied upon to provide multiple services during applications (e.g. traction in an electric vehicle, vehicle-to-grid, ancillary services) and to act as the ultimate resiliency element (e.g. electric vehicles used as power units during Hurricane Sandy). However, the ability to perform these diverse services is compromised by battery aging phenomena that eventually lead to failure. Understanding of how service conditions and context affect battery aging is limited due to a) battery high context dependency on generation and load dynamics, and environmental conditions; b) the multi-scale cell and module nature of battery systems; and c) the fact that a battery itself varies with age, as batteries are repurposed after a first life (e.g. electric vehicle) into a second life (e.g. grid or residential). This CAREER project aims to understand battery aging dynamics as context-dependent, and to provide a unified theory that links application-level events and conditions with cell- and module-level aging events. The Pl hypothesizes that a battery electrochemical nature and aging, multi-scale system, observability challenges, and its context-dependency can all be modeled using ecological tools, with ecology defined as a branch of biology that explores organism relationships to one another and to their environment. Therefore, methods proven useful to study ecological relationships are well suited to study battery life, and can provide new knowledge, testing and estimation techniques. This project draws from two pertinent areas in ecology: 1) multi-scale field testing and 2) modeling of interrelationships among ecosystem elements to understand coupled effects and improve remaining life predictions. Hence, the research objectives are: 1 ) Identify a battery context and its observability through sensors and data in real deployment conditions for two lives (electric vehicle and grid); 2) Optimize a methodology to translate real-life conditions into the laboratory; 3) Design a large multi-scale testing platform in the laboratory for new and aged cells and modules that mimics real-life conditions; 4) Explore multi-scale battery dynamics and aging by developing reasoning networks that capture the whole battery context variations throughout its scales, reaching the application level; develop theories that link these networks across lives; design battery management systems that can learn to construct and apply these networks to improve their decision making and prediction. This novel project will provide knowledge and perspectives to two fields by capitalizing upon the similarities between battery context-dependencies, battery life, and ecological systems. This new outlook will provide a unified theory for testing, estimation and management of batteries across cell, module, pack, and application scales and life scales in a research field that up to this point has been disconnected between scales. Testing approaches, interrelationship models, and estimation methods used in ecology are predicted to improve upon present, state-of-the-art battery research methods to provide economic, resiliency and environmental benefits by better understanding and leveraging the unique, time-dependent relationships each battery has with its context. This work will benefit all battery portable, transportation, and grid applications as well as multiple sectors. It will include the emerging battery repurposing sector, by providing tangible methods to improve testing, estimation and management techniques. The result will be longer battery life, better performance, and less environmental waste. Educational impacts include active learning opportunities for undergraduate and graduate students via research and educational interactions with individualized testing boards linked to the newly created large multi-scale testing platform. This strategy will enable low cost, highly distributed testing environments. The Pl will disseminate tools via national education conferences to improve the nearly nonexistent battery testing training of students. This project will facilitate new paths in multi-disciplinary graduate courses. The Pl has a passion to increase representation of Hispanic females in STEM. Outreach will include hosting 4 diverse Community College students for summer research through the Michigan College and University Partnership, and participating in Society for Hispanic Professional Engineers conferences, specifically in the female Hispanic track. Success of numerous long-term robotic network missions in space, air, ground, and water is measured by the ability of the robots to operate for extended time in highly dynamic and potentially hazardous operating environments. The proposed work responds to the urgency for development of innovative mobile power distribution systems that lower deployment and operating costs, while simultaneously increasing mission efficiency, and supporting the network’s need to be responsive to changing physical conditions. The overall CAREER goal is to develop a power distribution system that responds to individual robot needs, as well as, overall robotic network goals to guarantee persistence of long-term operation in uncertain and unstructured environments. The proposed work is informed by the hypothesis that network persistence hinges on the ability to establish stable energy transfer cycles necessary to accomplish coverage specifications, while simultaneously dealing with physical and environmental constraints. To test this hypothesis and as an example of such a system, this work will focus on creating a reliable autonomous recharging system for autonomous underwater vehicles (AUVs) that enables continuous real-time marine observation and data collection in the presence of continuously changing underwater environmental circumstances. The key challenges are two-fold: there are fundamental hardware challenges connected to energy transfer in the harsh underwater environment, but more importantly there are basic network science needs that are novel to a mobile power network. The specific research thrusts for this CAREER work include: 1) Task and Energy Routing Scheduling for Persistent Mission Planning. 2) Efficient Network Path Planning and Coordination to Accomplish Persistent Mission Plan. 3) Experimental Validation through Test-bed Development. 4) Design-based, Research-integrated Education Plan for Broadening Underrepresented Participation in STEM. This project builds a roadmap to achieve robust continuous marine autonomy that advances unmanned marine systems ability to perform autonomous long-term missions. More specifically the proposed work will provide: 1) resource based task scheduling, 2) path planning formation for mission and charging, and 3) integration tools for testing. Expected outcomes will overcome the current challenge of significant interruptions during underwater missions due to battery limitations and recharging needs. Through this CAREER proposal, the Pl will establish the theoretical, computational, and experimental foundation for mobile power delivery and onsite recharging capability for autonomous underwater vehicles (AUVs). The developed power distribution system will be able to reconfigure itself depending on the scope of the mission, as well as, the energy consumption needs of the network, the number of operational AUVs and required operation time, recharging specifications, communication and localization means, and environmental variables. Such a system will play a vital role in real-time controlled applications across multiple disciplines, such as: sensor networks, robotics, and transportation systems where limited power resources and unknown environmental dynamics pose major constraints. All developed tools will be suited for the capabilities of not only low-cost AUVs with limited sensing and computational resources, but also high-tech AUVs with state of the art sensor packages. The developed active power distribution system focuses on underwater scenarios, but will be transferrable to space, air, and ground missions as well. This type of feasible power distribution solution can be used to optimize: 1) immediate high-risk disaster recovery missions like the Fukushima nuclear plant accident; 2) search missions that require vast underwater inspection and detection like the Malaysia MH370 passenger aircraft; and 3) long-term space observation and monitoring like that of the lunar skylight or Europa space mission. The findings from this project will be disseminated through publications, software sharing, and technology commercialization. The project provides interdisciplinary training opportunities for graduate, undergraduate, and pre-college students, including those from underrepresented groups. Research activities will be integrated with education through curriculum development, outreach and improved GUPPIE design. Correctly, the 2009 Roadmap for US Robotics report predicted that robotics technology would transform the future of the US workforce and households. From Roomba vacuum cleaners to Wii video games, we increasingly see robotic technology in work spaces and homes. Yet, the US continues to lag behind China, South Korea, Japan, and European Union in its investment in robotics research and education. The Next Generation Science Standards for Today’s Students and Tomorrow’s Workforce responds to this critical need by providing a curricular framework for using crosscutting concepts and disciplinary ideas that: have broad importance across science and engineering disciplines; are taught around a key organizing concept (like health or water) and use key tool (pedagogical platform); have a significant context for students and are explicitly connected to societal needs; and are teachable and learnable over multiple grades. Informed by this framework, our proposed NRI aims to develop, test, and assess two co-robotic platforms with high impact potential and longevity as a pedagogical platform (use is applicable from 4th grade through graduate school learning). Two unique robotics educational platforms will be used to teach 6th-8th grade: an educational underwater glider called GUPPIE and a surface electromyography (sEMG)- controlled manipulator called Neu-pulator. Both of these platforms can be categorized as co-robot and cost less than $1000. GUPPIE is an unmanned vehicle that has application in monitoring and inspection of the environment and can be used to introduce students to the application of robots as co-explorers in everyday life. Neu-pulator is a human-interactive robot that uses electrical activity of human muscles to move a manipulator. It introduces students to assistive robots, which are a class of co-robots that aim to amplify or compensate for human capabilities. We hypothesize that meaningful contexts and hands-on learning with co-robotic platforms will broaden impact to diverse audiences and increase interest in critical STEM areas. The overall goal of the proposed NRI is to develop and evaluate the use of co-robotic platforms in learning contexts that are socially meaningful, especially for underrepresented students (female students from rural, low socioeconomic areas in the Upper Peninsula of Michigan). Our specific objectives are to: 1) Optimize Michigan Tech’s co-robotic platform designs for teaching STEM concepts. 2) Develop educational activities/curriculum utilizing Michigan Tech’s co-robotic platforms. 3) Investigate the co-robotic platforms effectiveness in engaging students in STEM learning. The proposed work will develop a pedagogical platform and evaluation method that can be easily translated for classroom practice from grades 4th-12th and in undergraduate to graduate degree programs. Training teachers in platform use during teacher workshops will help schools respond to and integrate new science standards – efficiently and effectively using meaningful contexts. Continued online training and modules will be available to broadly disseminate platform applications for informal and formal learning contexts. The hardware development and programming of co-robots will teach critical analytical thinking. The nature of co-robotic platforms, on the other hand, will inspire students to become integrative designers. By exercising both analytical thinking and design skills, these co-robotic platforms will improve students’ ability for creative problem solving, and ultimately increase individual motivation for pursuing STEM academic and career pathways. The project will produce research that compares the effectiveness of mission-based and application-based robotics activities for engaging students in STEM. (a-i) Wave-by-Wave Control: Generalize to conversion from relative oscillation in surge, heave, and pitch modes. This step places high expectations on geometry design, because the chosen geometry needs to maximize wave radiation (radiation damping) by relative oscillation in all three modes. Typically, for small axi-symmetric buoys, radiation damping in surge and pitch modes is considerably smaller than that in heave mode. Therefore, greater oscillation excursions are typically required for optimal conversion in these modes. In addition, the power requirements of the wave measurement hardware also need to be included in the daily/annual powver calculations. For the X-band Radar hardware applicable to the up-wave distances of interest to us (on the order of 1000 m), the power consumption is expected to be less than 300 W (average). This could pose a challenge in some wave conditions, but it is likely that the use of multiple modes and optimized geometries will help to provide sufficient usable power for the iFCB application we are pursuing in this work. We plan to extend the current simulations to address these needs. (a-ii) Geometry Design: New geometry design/utilization approaches to maximize the radiation damping for the 3 relative oscillation modes are being considered. These will be evaluated through detailed simulations in the forthcoming period. (b) Multi-resonant Control: Current implementations need to be extended to incorporate realistic oscillation constraints. Further extensions to 2-body systems with power capture from relative oscillation are also required, and are planned for the forthcoming period. Finally, the procedure also needs to be extended to investigate multiple-mode conversion (i.e. relative heave, pitch, and surge oscillations). Work is planned for the forthcoming period where propose to examine favorably interacting buoy-instrument cage geometries that will minimize the need for large amounts of reactive power to flow through the system. Particular attention will be given to hydrodynamic and mechanical coupling effects and ways to provide negative stiffness through geometry design. In addition, non-polluting high-lubricity hydraulic fluids will be evaluated through actuator dynamic models over the frequency range of interest. This is an important part of the project. The complete system will be simulated following inclusion of multiple-mode relative oscillation conversion and more detailed actuator design. Besides the power requirements of the wave measurement system, all other non-function-critical power needs embedded within the overall system (on-board electronics, etc.) will be included in this simulation. Wave tank tests are planned as part of this project. Preparations are currently underway to install a wave tank (with flap type absorbing wave makers) capable of providing accurate and repeatable sea states for this project. 1/2 or 1/5 scale models are planned.